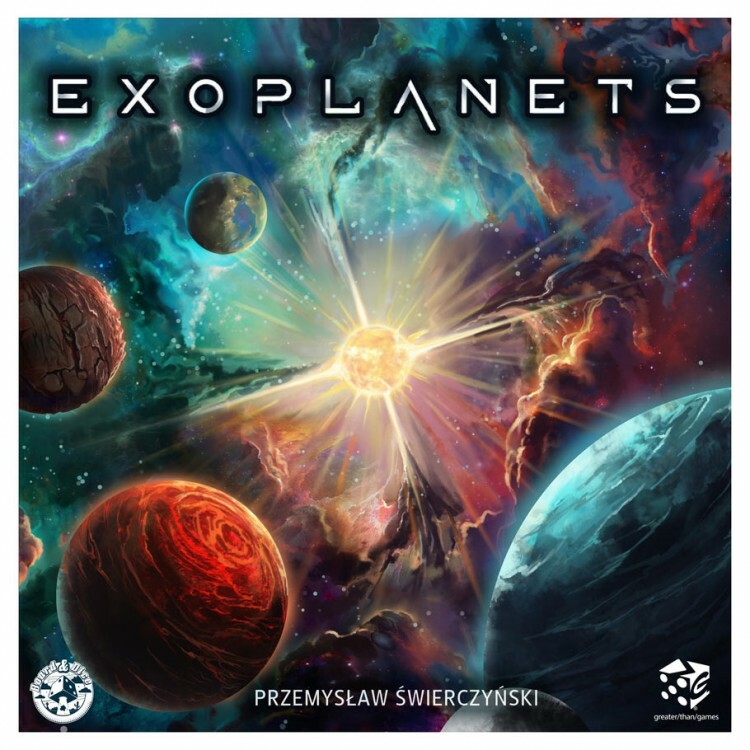 Exoplanets is a dynamic game for 2-4 players, wherein each player contributes to the creation of an entire planetary system. Each player’s role in Exoplanets is to expand the system by adding new planets, create and evolve life forms, and fulfill various tasks. To fulfill these tasks, you will manipulate the planetary system in any way necessary, potentially altering the relations between planets and possibly even the life-giving star at the system’s center. In Exoplanets, players will use their terraforming skills to create planet interdependencies, which will provide valuable resources. These resources will allow players to create new life on the planets’ surfaces, and help them to evolve those life forms into new species. While developing the solar system, players will also obtain space tiles which will allow them to influence planets, possibly making the game easier for themselves or more difficult for their opponents. Eventually the available collectible energy of the star will be depleted, signaling the end of the game. A player wins by having the most Creation Points after the star is depleted. Points are gained for the creation and development of life on planets and for the execution of unique goals that are discovered and achieved during the game.